Book worm: a person who cannot imagine an existence without reading. It just occurred to me the other day that most people are not book worms. I mean, I know that most American adults do not read that many books; in 2007 the media had fun complaining about how 27% of Americans hadn’t read a book in the last year, and looking at that same study, of the remaining 73% of people who did read, 25% of them had only read 1-3 books in the past year. Sometimes numbers take a while to sink into my brain. But I met someone at a party recently who announced, “I don’t read.” I appreciated his bluntness: no excuse making, no pretending. And I realized these hypothetical people who don’t read (or don’t read much) actually exist. They are all around me, all of the time! My lifestyle, in which books have always featured prominently, is not the way everyone I know lives. What an epiphany to have, right? I love reading. I feel physically hungry to read more good books. When I purchased William Shakespeare’s complete works for the Kindle, I almost started crying because I can now carry all of Shakespeare’s words wherever I go. I cannot contemplate a life in which I don’t have time to read; my brain cannot even compute the possibility. 1. You worry when you leave your house and don’t have a book with you. 2. 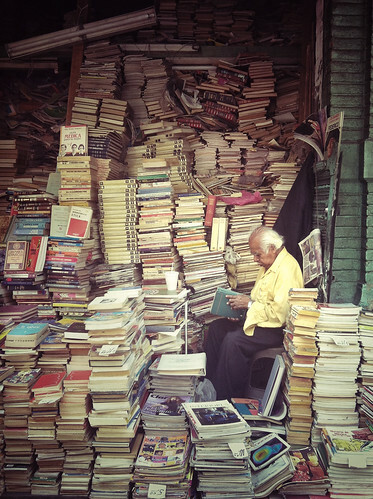 The idea of having hundreds of books on a portable device reduces you to tears of joy. 3. Libraries and bookstores are the most amazing places on the planet because you can experience physical proximity to so many books at once. 4. The idea of having your bedroom lined with bookshelves gives you a cozy feeling. 5. When you think of being stranded on a desert island, your first concern is what books you would choose to have with you (and how you’d survive if you didn’t have any books at all). 6. One of the best parts of planning a vacation is choosing the books you’ll take with you. 7. You buy a special book for your birthday each year so you know you’re guaranteed to have a pleasant day. 8. You know every section of wall in your home that could be used for more bookshelf space in the future. Book storage is one of the most important uses of your home. 9. You have trouble getting rid of books, even duplicates. 11. Your favorite gift to receive is a gift certificate to buy more books. 12. 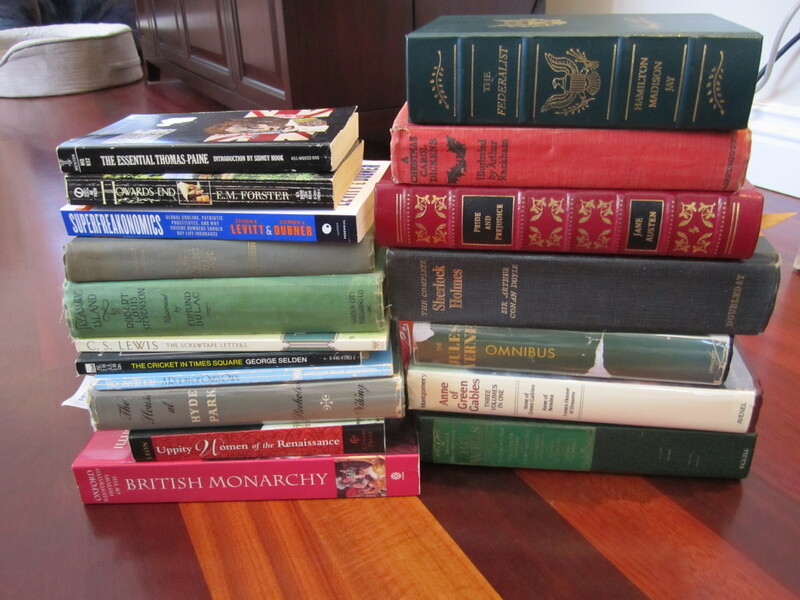 It is hard to leave a library or bookstore without a large stack of books. 13. You are pretty much always in the middle of at least one book. 14. Your most important criteria when purchasing a purse/bag is how big a book it will fit (the winners are the ones that will accommodate hardcovers). 15. You want to live forever because otherwise, think of all the books you’ll miss! I love being a book worm. It brings me so much joy. What about you? Are you a book worm? Do any of the above behaviors sound like you too? The biggest reason I love eReaders is because I travel a fair amount. Before, it was always this difficult balancing act between bringing a good selection of books, being sure I wouldn’t run out before the end of the trip (the horror! ), and managing the weight so I’d actually be able to *carry* my luggage. Now I never have to worry. That’s a good point. I don’t do much traveling right now, so I haven’t had to deal with lots of book packing recently. However, one of the things I like about printed books is that when I do (occasionally) travel, I like to buy a book on my trip and it acts as a souvenir or memento of the trip. Then, whenever I reread that book I’m reminded of my trip. But that’s just me. I’m wholly in favour of 1, 2, 3, 5, 10 and 13. I agree partially with most of the others, but I agree less so these days because I’ve wholly embraced ebooks. If I ever move somewhere fairly permanent, I expect I’ll want that library, but not ’til I’m sure I won’t have to pack the whole thing up again. Yes, packing/moving is a drag when you own many books. On the up side, they’re pretty easy to pack, but the downside is their sheer weight. Oh hell yes, I’m a book worm. When I imagine having a home there would be a huge library, with those sliding walls of shelves so I can have more books. And I’m waiting with bated breath for my new Asus tablet to arrive so I can use it to do a multitude of things, including reading e-books. I’m having trouble with black text on light background, smaller font size and holding heavy things (like hardbacks) so my reading has gotten slower and more difficult. I want to be able to read in my preferred font and colors with a lighter weight. But there are still tons of books I’ll no doubt buy paper copies of as well; some books that I already own but in formats I can’t handle (like Jonathan Strange and Mr. Norrell) and others that I have to own in hardback as DRM and other failures may make my e-copies useless down the road. Ooh, sliding walls of shelves. Yes, I want that too! I have a complicated not-really-a-system for which books I buy paper and which I buy e-book. If I really fall in love with a book, I almost always get the paper edition, even if that means buying a second copy. Sometimes I try to guess which books I’ll love ahead of time, but I don’t have an 100% success rate with that…at least not yet! I love this post! Thank you! Yes, I fit most of the list. Someone came over last weekend and said: “Wow! Look at all of the books!” Our living room has the bookcases and the TV, with all of the cobwebs, is in the basement. Glad to have found a kindred spirit. Haha! Yup. We pretty much always have stacks of books on the coffee table; doesn’t seem to matter how often I clean it off. They just come right back again! Well, realistically, there’s no one right way of interior decorating. Also it maybe helps that all the books in our bedroom are fiction and therefore feel like old friends. The nonfiction is all downstairs. I’m definitely a bookworm; I don’t leave home without one. If I’m eating a meal by myself, I’m reading. If I’m waiting for someone or something by myself, I’m reading. I keep track of all the books I’ve read (400+) and want to read (400+). I normally read 30-40 books/year although I have know people that read 100+ a year and don’t really know how they do it. For all my reading I don’t usually have good “reading endurance”: the ability to sit down with a book and just read it for hours, though that is probably in no small part due to reading mostly heavy nonfiction. I am very unusual as a bookworm that I own almost no books; I grew up making extensive use of the public library (and being back in college am really appreciating their library), but rarely read anything more than once so I see no reason to buy it when I can borrow it.